first afternoon tea experience, and knew he would be in his element once again when we had settled in to the Savoy Thames Foyer for afternoon tea. greeted by friendly doormen before walking through the rotating doors of the Savoy hotel in London. We were escorted to our seats in the Thames Foyer where our Savoy afternoon tea experience took place. Cosy carpet and plush chairs with cushions are dotted around the Thames Foyer room. At the Savoy hotel. A giant bird cage is in the center of the Thames Foyer at the Savoy, with seats inside. Real orchids are in the corners of the Thames Foyer room, and the pretty flower arrangement of hydrangeas and roses in the middle of the room at the Thames Foyer, Savoy hotel kept catching my eye. There's an option for Savoy traditional afternoon tea or high tea. Both are four courses long. With high tea having a savoury option - instead of the sweet pastries that are served as the third course for traditional afternoon tea. A friendly afternoon tea waiter introduced himself in passing. Complimenting us both on our attire. Hubby and I almost always end up matching our outfits subconsciously these days. It must be a long term relationship thing! This day at the Savoy hotel was no exception, and what was so cool about it, was that we ended up matching the decor of the Savoy hotel! A green colour is prominent at the Savoy hotel Thames Foyer. I just so happened to be wearing teal, whilst my husband J just so happened to be in a complementary shade of green. It wasn't planned - honest! Well enough about all that. Let me tell you more about our afternoon tea at the Savoy. We chose afternoon tea instead of the savoury high tea, and our main waitress for afternoon tea was so down to earth and friendly. She really made us feel relaxed throughout our whole stay at the hotel. The first course was a tray of finger sandwiches. We received four each. All except one of the sandwiches were a bit of a blur to me. One was a smoked salmon sandwich on white bread. Another was ham and pesto. There was also an egg sandwich, and our favourite - the coronation chicken with olive bread. All of the Savoy afternoon tea sandwiches were fresh with super soft bread. The Savoy coronation chicken sandwich was especially flavoursome. My husband asked for some extra coronation chicken sandwiches, which was not a problem. We could literally have had as much of everything as we'd have liked during our Savoy afternoon tea experience. Next was my favourite. The scones. Wrapped in cloth, the Savoy scones arrive nice and warm. With the most perfect. Soft, buttery and crumbly texture. You receive two plain and two raisin scones each - with jam. Tangy lemon curd and a ball of fresh, clotted cream to slather your scones in. It's good to know that the Savoy can accommodate for all dietary requirements. Vegan, allergies or gluten free. Just let The Savoy hotel team know in advance. The Savoy have an impressive number of tea to choose from. 33 to be precise! Having become quite the tea lovers over the past couple of years, we were well and truly spoilt for choice. All tea available at the savoy can be purchased at the Savoy tea shop. The first afternoon tea sitting is at 1pm each day, lasting about 1 hour and 45 minutes. However, on less quiet days you'll have the option to stay for longer. Be prepared to want to stay in the Thames Foyer forever! Savoy afternoon tea weekdays can be a little less busy and not so noisy - making for a more relaxed afternoon tea experience. I liked the sound of Ceylon tea, which is a black tea. I was advised to try the Savoy special afternoon tea blend - a unique mix of Ceylon and Darjeeling tea leafs. A tea which can only be enjoyed at the Savoy hotel. I liked it. It was a bit lighter, and more refreshing than a typical black tea. For my next tea I tried white peony with rose. I initially had my eye on rose tea, but was advised to instead try the white peony with rose. Our waitress said the full on rose tea can become a bit tiring for the taste buds. Whereas white peony tea helps to create a more refreshing taste, than the rose buds alone. Since I was having so many sweet treats I considered it a bright idea. I didn't need any sugar for the white peony and rose tea. I wasn't sure if I would like it, I just chose it because it was so different. Thankfully though, I enjoyed it a lot. My husband enjoyed a Moroccan mint tea - memories from our trip to Marrakesh. His second tea was a leaf that had a smooth lemony taste. Without the bitterness or overbearing sharpness of actual lemon. For my third Savoy afternoon tea course, I tried a mango and passion fruit chocolate eclair, which I recommend for those that prefer more fruity desserts. The fourth and final course was a yummy slice of Victoria sponge cake that I just about managed to devour! The sponge was perfectly moist and you couldn't have asked for more cream. The toilets at the savoy are huge, with tables and stools in front of two hanging mirrors upon entry. Further in are where the cubicles can be found, and at the wash basins there are real cloths to dry your hands with. A luxury honey hand wash and hand lotion. The Savoy hotel men's toilet had a whisky and water hand wash and hand cream, which left my husbands hands smelling divine. When you think of afternoon tea, you might assume that it will be a snooty. Over hyped experience with tasteless cucumber sandwiches. Something more suited to a party of girly girls. However. There was a group of all guys during our afternoon tea experience, plus quite a few couples - young to old during our time at the Savoy. It was an enjoyable, romantic and relaxing experience. The somewhat hazy ambience and plush seats in the Thames Foyer of the Savoy hotel meant I could have stayed there forever and been just fine! Even though The Savoy Hotel is as classy as they come. The vibe thankfully is unpretentious, with mixed crowds and waiting staff that possess a genuine warmth. Each course is explained thoroughly, and teas are recommended to you. Throughout your afternoon tea session, staff chat with you attentively and continually top up your tea. We bobbed along to the female pianist, as she played a mixed selection of songs ranging from happy birthday for a celebrating party. Disney's the little mermaid, to Seal's kiss from a rose. I highly recommend Savoy Afternoon tea for a romantic date, or special occasion with families and friends. The Savoy hotel atmosphere. The venue. The service, and the impressive number of teas to choose from. The delicious cakes. The scones and the coronation chicken sandwiches! 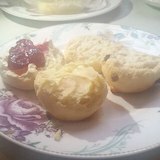 Found this Savoy Afternoon Tea review useful? Subscribe to www.bestafternoonteainlondon.co.uk for more afternoon tea giveaways. Special offers. 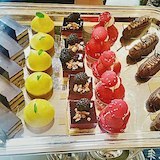 London afternoon tea news, reviews and tips. 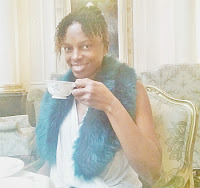 This is a review of Afternoon Tea held in the Thames Foyer room at the Savoy Hotel in London. Afternoon tea at the Savoy hotel takes place in the Thames Foyer room. The Savoy is a five star luxury hotel. Located in central London - the Strand. Information on the afternoon tea menu at the Savoy was correct during the time of visit and at the time of this post. Savoy afternoon tea is described online as "the heart of The Savoy, the Thames Foyer in London is a stunning glass domed atrium, radiating natural light and sociable warmth. An impressive gazebo takes centre stage from which a pianist plays during the day and more lively bands entertain at night. The Thames Foyer restaurant is the spot where guests have been coming to enjoy The Savoy’s famous Afternoon Tea each afternoon for over a century, and where the concept of a dinner dance was very first born." Further details taken directly from the Savoy website are as follows : Telephone : 020 7420 2111 Hours of Operation Open seven days a week . Afternoon tea 1.00pm - 5.45pm. The photos of food in this blog post are originals, which were taken at Savoy London. Along with any text and personal opinions about Savoy hotel, afternoon tea and menu are copywritten by said owner of www.bestafternoonteainlondon.co.uk. The photographs and text on this blog must not be copied. Distributed. Sold or printed without prior written consent of this London afternoon tea blog owner. Contact site owner for more details.